These easy to install grates bring new life to old and unused fireplaces thanks to their use of clean burning e-NRG bioethanol. 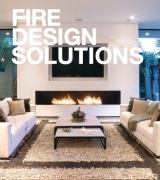 The ventless and self-contained Scope Series can simply be slipped into pre-existing fireplaces and lit within minutes. 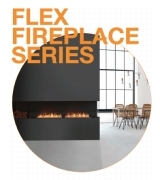 Made from iron and protected by a matte black powder caot, the convenient grate inserts complement traditional and contemporary fireplaces alike. 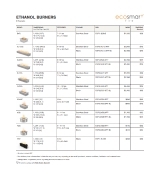 EcoSmart’s Fireplace Grates enable architects, interior designers and homeowners to revitalise an existing fireplace or create a unique fireplace feature without the costs associated with installing a chimney, flue, or gas connection. Designed to complement traditional hearths and custom spaces, EcoSmart’s Fireplace Grates make it easy to reinvigorate old, disused, wood-burning fireplaces. Grooved grate design accommodates the XL500 Burner so it fits snugly in wide hearths. 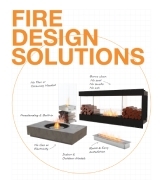 Perfect for transforming smaller-style traditional fireplaces into modern, eco-friendly fires.